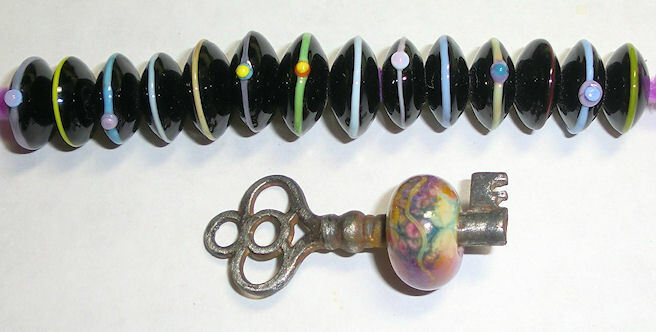 I did make another bead on a skeleton key but it was too hideous to show. I’ll crack the bead off and redo it. I like the way this one turned out. It’s opal yellow with enamels on top.